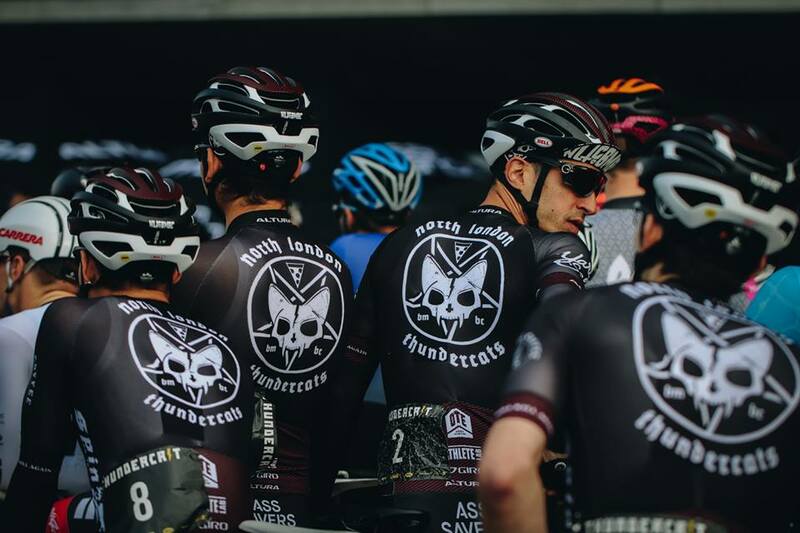 The weekend saw the return of the Thundercrit an annual fixed gear crit put on by the awesome guys and gals at NLTCBMBC (I might be slightly biased as I recently joined this amazing team). 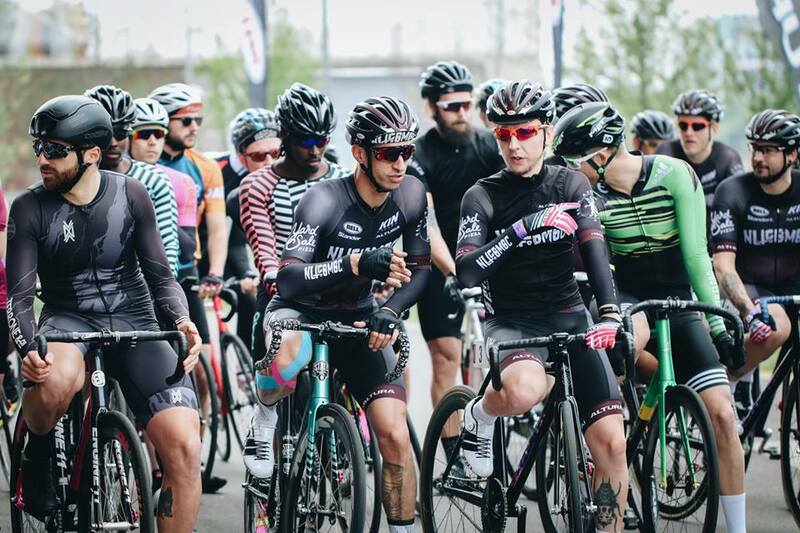 Last years event set the standard for UK created events, there were only a handful of races and with the exception of the Red Hook Crit and the Thundercrit blew everyone out of the water. They showed much larger brands that it wasn’t deep pockets that were needed to put on a great event it was hard work, a good team and an understanding of the scene you are targeting. It was hard to imagine just how the NLTCBMBC were going to top their last event, but after one of the most epic weekends I’ve had in a long time I can honestly say that it exceeded all expectations. 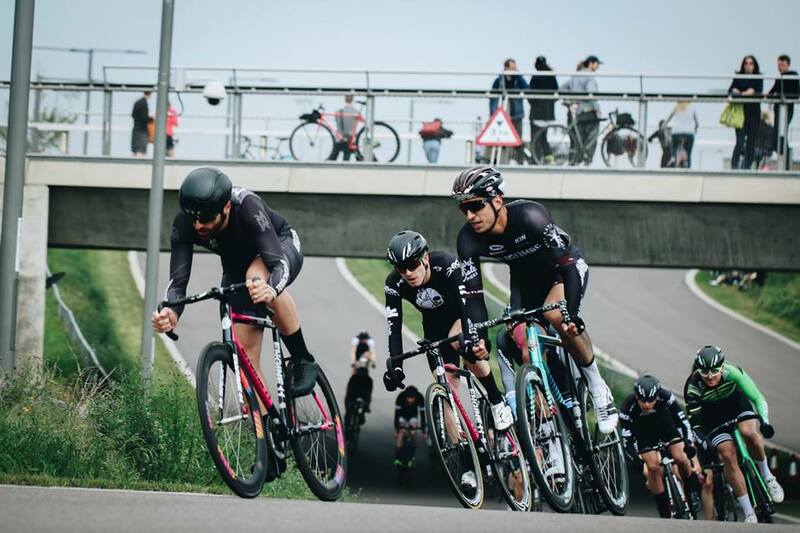 The new venue for the crit was the fresh tarmac of Lea Valley Velopark. 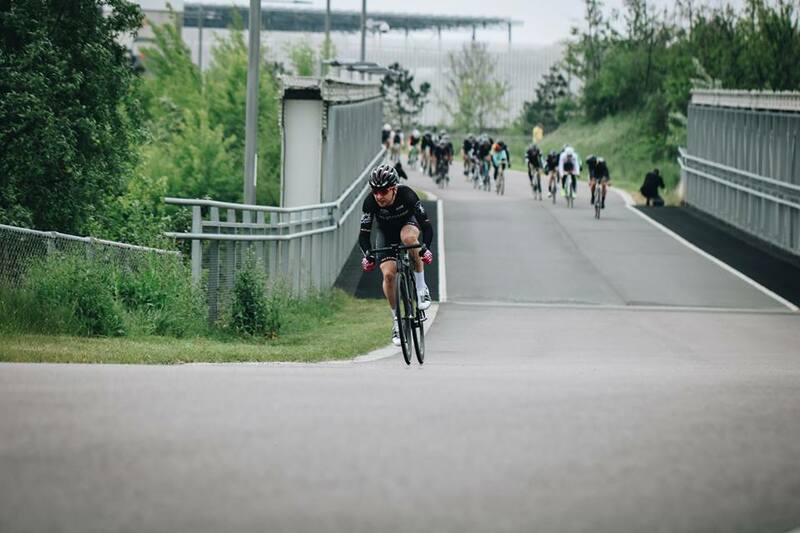 The circuit was a fast one, there was only one hairpin and the rest of the course could be ridden flat out, there were a few rolling bumps that made for a fun ride. It was a windy day, Veloparks seem to always have hideously windy sections although I dont mind a bit of wind as it tends to keep the race together. 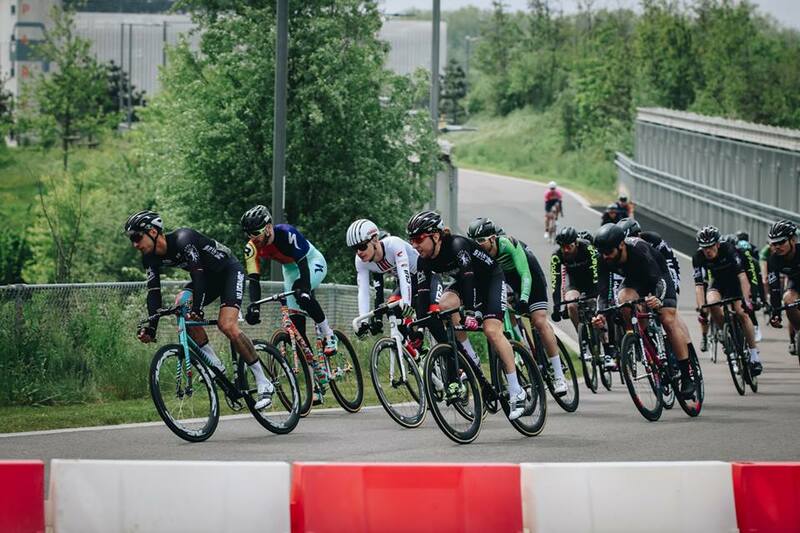 The participants were divided into three qualification groups, each group would ride a 20 minute race and the top 25 from each group proceeded to the final. I was in group 1 with quite a few well known riders beside me, I hoped that we wouldn’t got out too hard and that I could just ride safely to save my legs for the final. After the 20 qualification of the Red Hook Crit I was however prepared for the worst; a 20 minute all out battle! The qualification race set of a a very nice and steady pace, there were a few surges though the average speed was steady. This was until my team mate Dimi decided to ride off the front, to begin with nobody chased we just carried on at a nice pace as the riders in the front group knew we would all be qualifying. I ended up on the front just after Dimi attacked so my instinct was to just slow the peloton gradually and hope they didn’t notice. Unfortunately for me IRD Carrera SC rider Aleassandro Mariani soon realised and put in a massive dig to bring Dimi back to the peloton. The pace stayed steady for the rest of the race and as I knew I had done enough to get through to the final and that there was no real gridding system I didn’t need to ruin my legs sprinting. The main race got off to quite a hectic start, I was pretty far back on the start grid which sucked as I qualified in the ton 10 of my group, but that’s life. On the first corner someone rode straight across my front wheel and I had to put a foot down to keep upright. I came out of the first corner in around 50th out of 75, and to make things worse the first lap had a prime so the pace was blisteringly fast, so I jumped on the gas and worked my through the strung out stragglers, after a bit of a dig I was back with the main group. The pace stayed high for the whole race, there were a couple of good attacks from riders though eventually they were all brought back my the peloton, it was just too windy to make anything stick! My legs felt pretty sore from the effort to get back on so I sat in for a bit to recover, although there was a lot of heavy braking on the hairpin and I recently ruined my knee so stopping causes me a fair bit of pain, I made the smart decision to drift back and just roll through the corner with minimal hindrance from other riders. I felt strong during the race and started to move up with a few laps to go, this is where I just went a bit blank I didn’t know what lap I was on, I thought it might be the last but wasn’t sure, by the time I realised it was too late to move up properly. I eventually finished in 22nd out of 75, I’m not stoked with the result as I know I could have definitely pushed harder, though I now know that so the next race will be different. I am still new to racing and I am constantly learning and growing as a rider. I can’t wait for next weeks race in Hamburg! I have to give a load of thanks to Rob for putting so much work into organising such an awesome event, the volunteers that kept things running. Congratulations to Alec Briggs and Jo Smith on their wins. Thanks to the NLTCBMBC team for making me feel so welcome, thanks to George and Rudy from the 5th Floor for being your usual rad selves and congratulations to ELF x Huez team for a strong performance. The racing was fast, fun and respectful, I can’t wait to line up with you all in the future. Last but not least thank you to Jess Morgan for the photos!